A feudal government is a system of government in which the nobles of the society receive land from the monarch in return for military service to the state, then give those lands to farmers who work the land and give a share of the proceeds back to them, in addition to providing labour and paying homage. 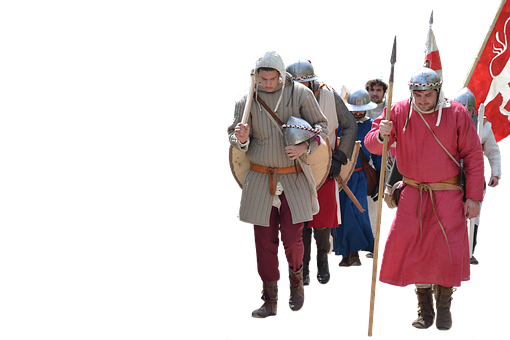 In compensation, the peasants, also called vassals, receive military protection from the nobles. One of the advantages of feudalism is that it gave protection to the common men in the society. In those days, soldiers went from place to place invading territories. By coming under the protection of the nobles therefore, the vassals were saved from the clutches of such marauding foreign invaders. Another advantage of feudalism is that the vassals were protected from the tyrannical rules of the monarchs. The nobles or the feudal lords kind of owned the vassals who occupy their land and therefore the king did not directly deal with the vassals. This arrangement offered protection to the common people against any tyrannical tendency of the monarchy. Another advantage is that it prevented slavery from flourishing in Europe. Every common man or vassal was under the protection of one noble or the other. For that reason, they could not be sold into slavery without incurring the displeasure of the owner and fueling conflicts. In this way, the slavery system could not triumph in Europe. Chivalry was at the time associated with the show of courtesy to women especially, being ready to defend people who were in trouble and generally being of a gentle disposition. In fact, the nobles protected the weak from the stronger men of the society. The nobles lived by this code of chivalry, thus affording them the opportunity to exhibit them. There was peace of mind for the common people or the vassals. This was because all that had to be done was to fulfill one’s duty to one’s lord, such as, paying homage and a fee referred to as fief. The rest was left to the lord whose duty it was to offer protection and save the vassal in times of trouble. The understanding of the arrangement of the feudal system created a cordial relationship between the nobles and their vassals. This cordiality led to general peace in the entire society. It can therefore be concluded that feudalism brought peace to Europe at the time. 1. a. What is feudalism? b. What are the advantages of feudalism? 2. Highlight six advantages of a feudal system of government.